Stay up-to-date on the issues and trends affecting the industry. 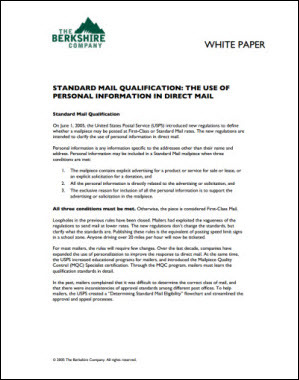 USPS regulations define whether a mailpiece may be posted at First-Class or Standard Mail rates. The regulations are intended to clarify the use of personal information in direct mail.